Shenzhen and I didn’t get off to a good start the first around. It was the end of 2010 and I was finishing a two month trip in China. I was in Shanghai and I had a flight to catch in Hong Kong. Flights to Shenzhen were half the price of those to Hong Kong, so I figured I would spend a day in Shenzhen before crossing to Hong Kong. When I visit a place my goal is to find redeemable features of even the most boring cities. Shenzhen was one of the few places where I struggled to find a redeemable feature. 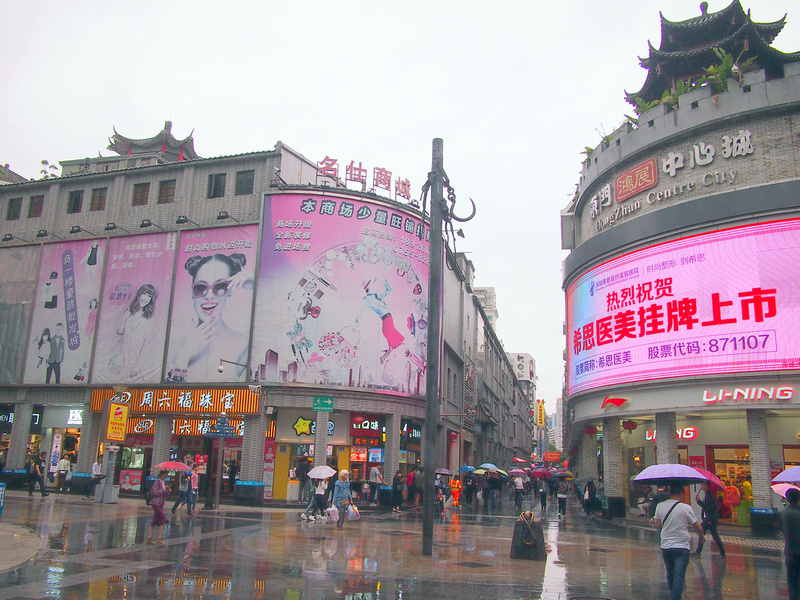 Perhaps it was because I was fatigued by two months of China travel, or that there is little to see for a tourist in this business-oriented city. I never expected to return anytime soon until some friends from Saigon moved to Shenzhen for a work project. As I was in Hong Kong I thought this would be a good opportunity to see my friends, and reassess my opinion of the city. 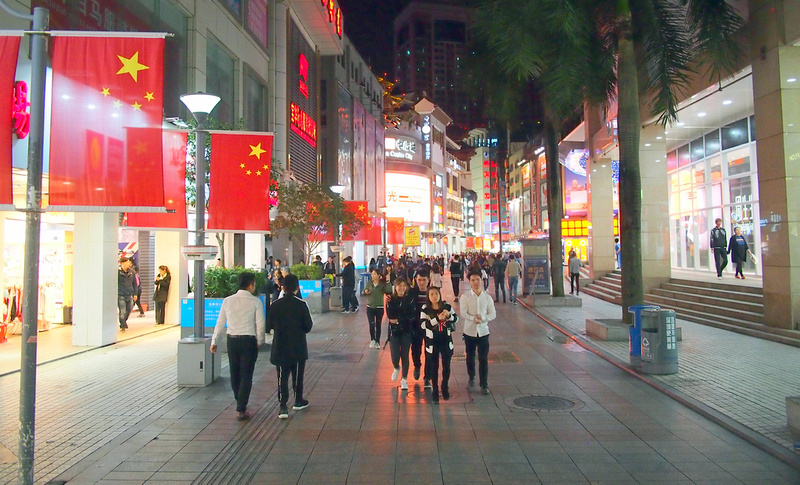 Returning after six years, Shenzhen felt completely different. It probably helped that it was my first day back in China and I was excited to be back (as in China where you need a visa – not Hong Kong which is also China). No doubt I’ve become a more seasoned traveller since then, and my expectations have changed. The city has definitely changed as well. 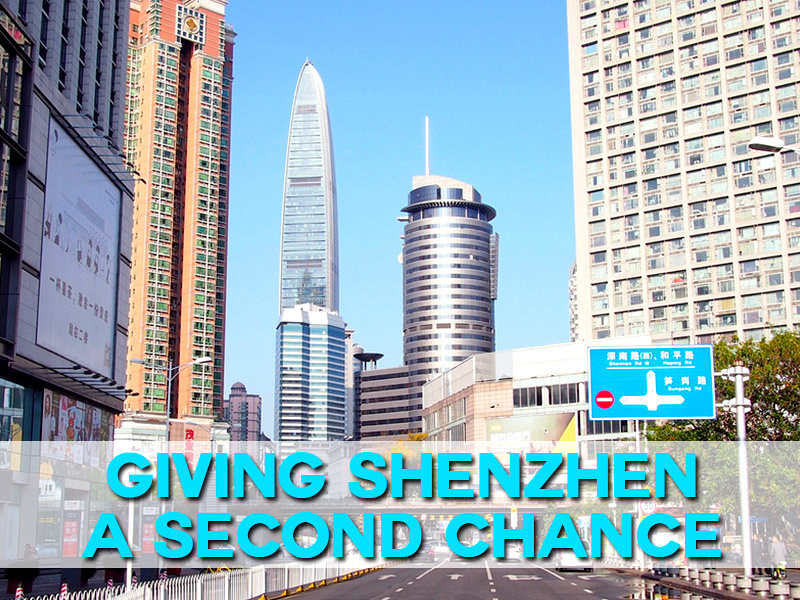 Shenzhen went from a town of 30,000 people in 1979 to becoming China’s first Special Economic Zone (SEZ) in 1980. Now there are nearly 12 million people living here. Shenzhen SEZ is a relatively new city, and there’s not much to show of old Shenzhen. The six years I was away represents nearly 17% of the 36 years of its current existence. The city feels more lived in this time around. The new buildings look worn in, street trees have grown, and there seems to be more interesting things to see and do. As is my usual style, I didn’t do anything that would warrant a “top ten things to do in Shenzhen” post. 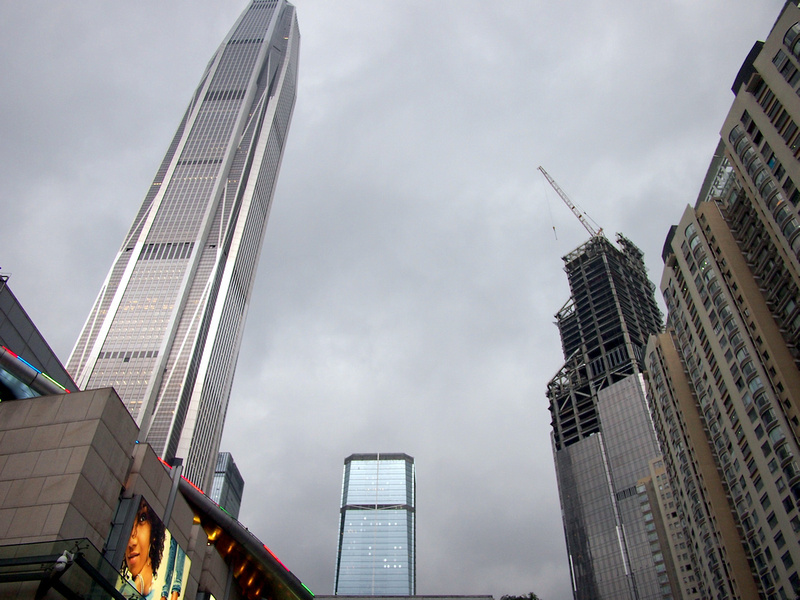 I’m more of an urban explorer and observer, so here are my notes from a day in Shenzhen. One of the first things I noticed when I emerged from the Hong Kong frontier was the prevalence of mobile payments. Practically everything is payable by mobile now. 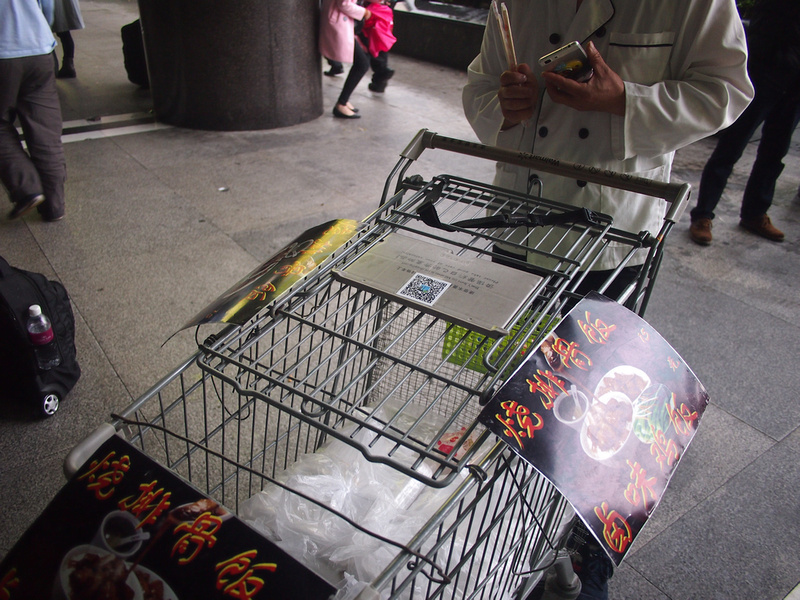 For example I found this street food vendor selling chicken and rice lunch packs out of a shopping trolley, and he had his WeChat code on the cart. If you are going to China then you will be using WeChat a lot (especially since sites like Facebook and Google are blocked). Alipay is the other big payment platform of choice. 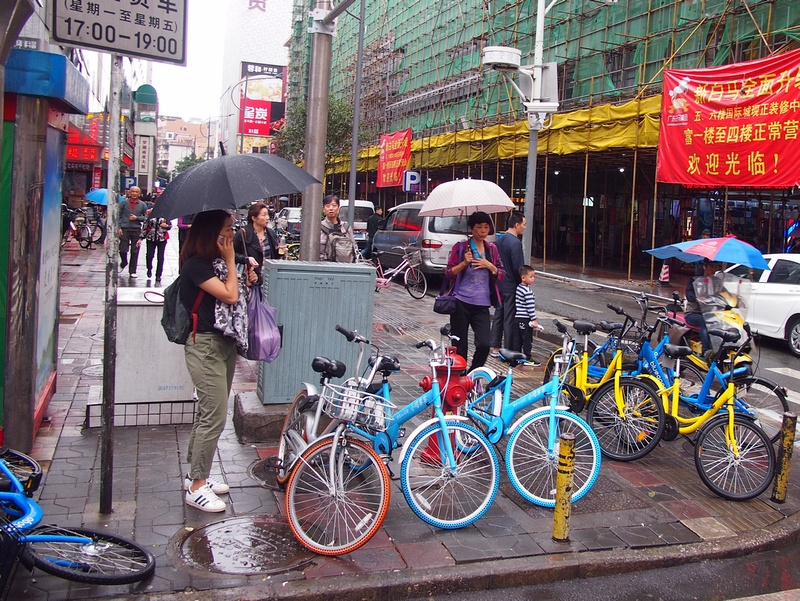 I arrived in Shenzhen at the start of a new bicycle revolution that is sweeping across China. 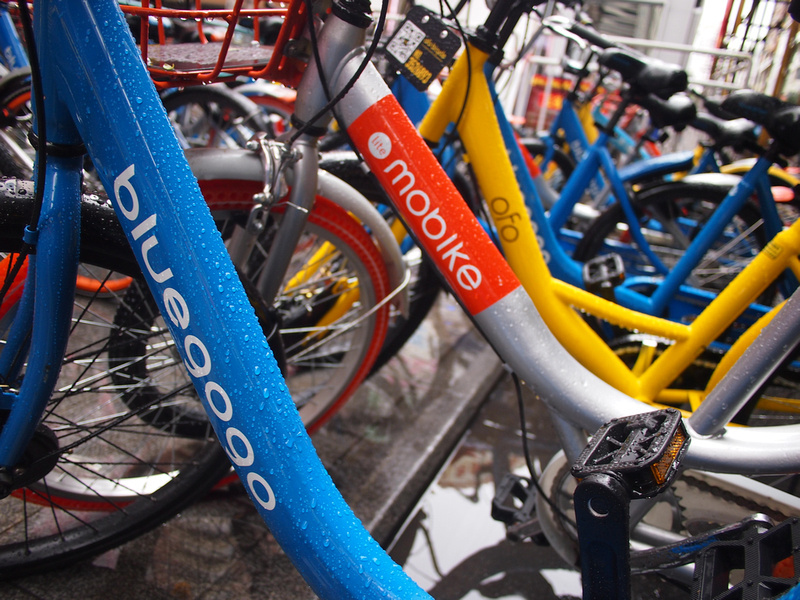 Competing cycle-share companies (“Uber for bikes”) have churned out thousands of bicycles which can be found on practically every corner. 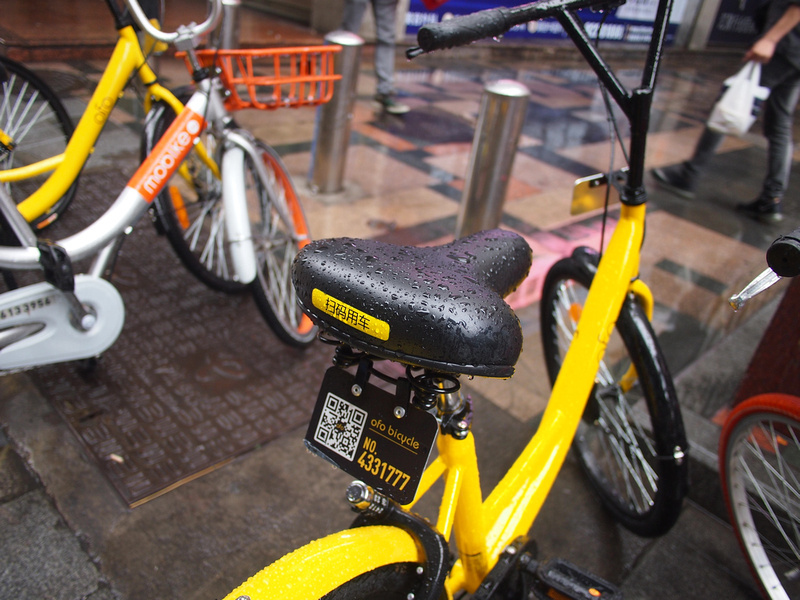 Th bicycles have a scannable code on the back which allows you to unlock the bike with your phone. You can ride the bike for a few yuan, and then leave it where ever it suits you, saving the hassle of taking it to an official dock. Is there a Shazam for food yet? One of the main memories I have of my two months in China in 2010 was not knowing what I was eating half the time. 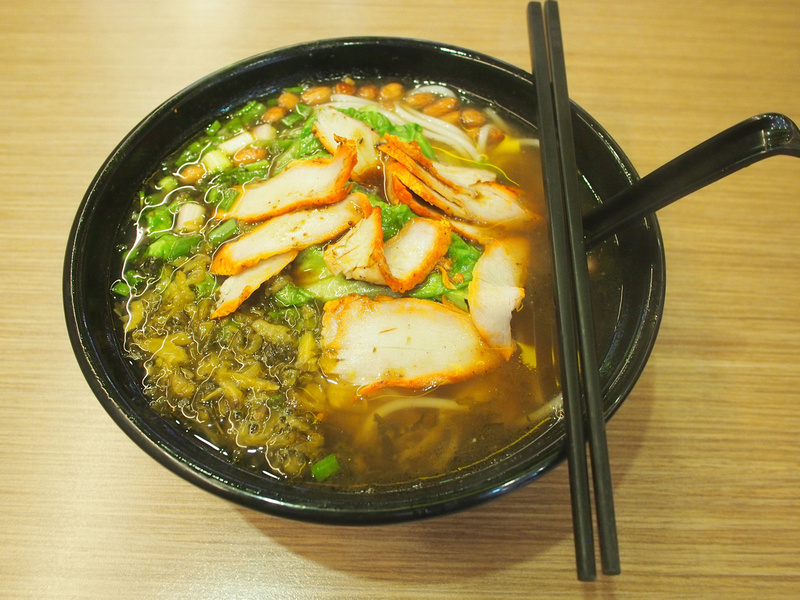 By the time I arrived in Shenzhen I was so hungry I just stumbled into the first noodle shop I could find. Whatever my first meal back was, it was amazing. 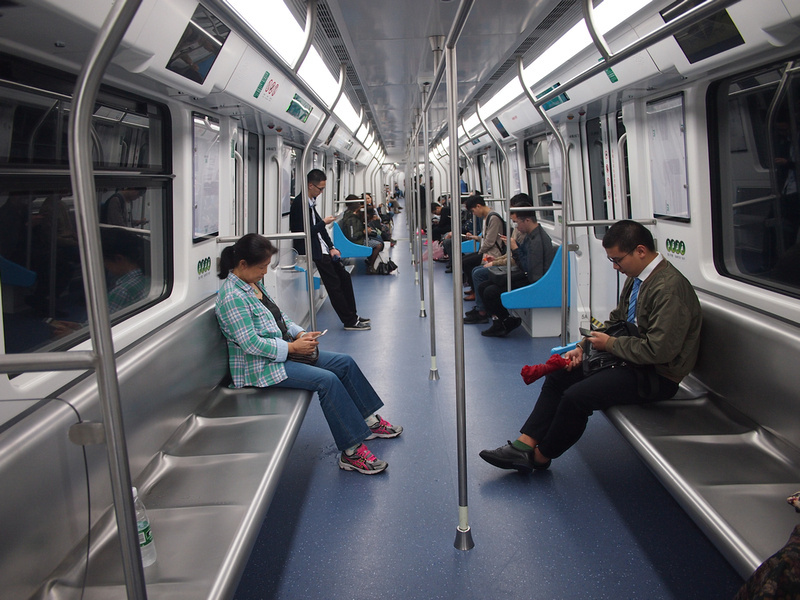 Another noticeable difference is the expanded metro network, which is on course to become the world’s largest network by 2030. 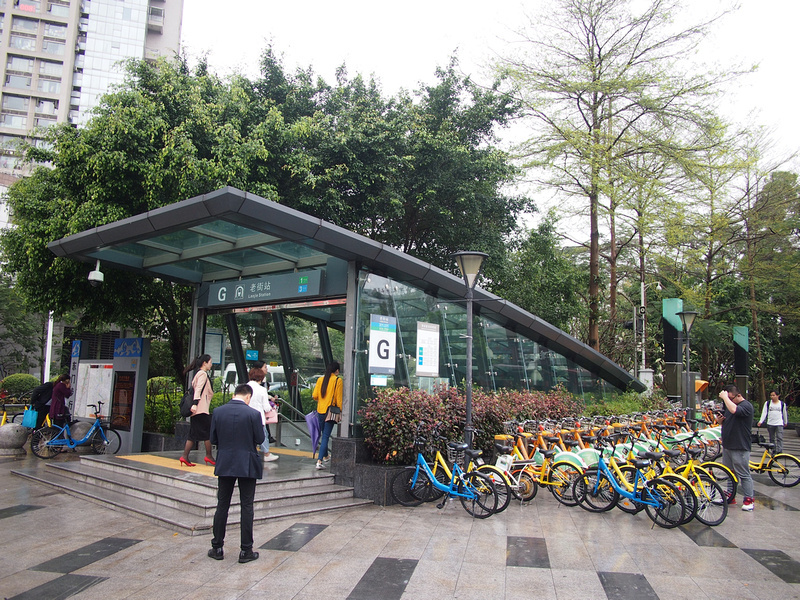 The combination of metro and cycle-shares makes getting around the city easy. There are electric bicycles and scooters everywhere. 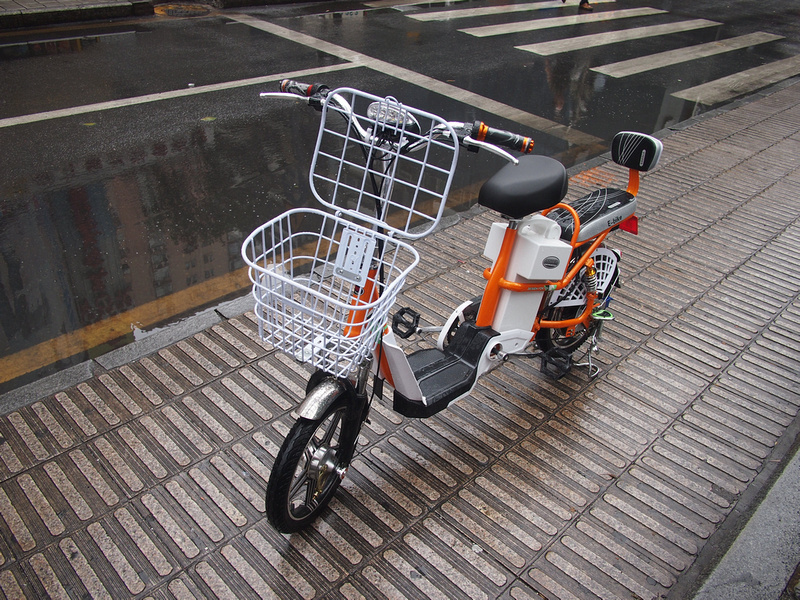 Most of the delivery services I saw use them, and after coming from the most motorbike-crazy city on the planet, the silence of the electric bikes is almost deafening. Electric cars are also making their mark here. While in the west we are enthralled by every move that Elon Musk makes, it seems that China is quietly getting on with the business of becoming a leading electric car manufacturer. 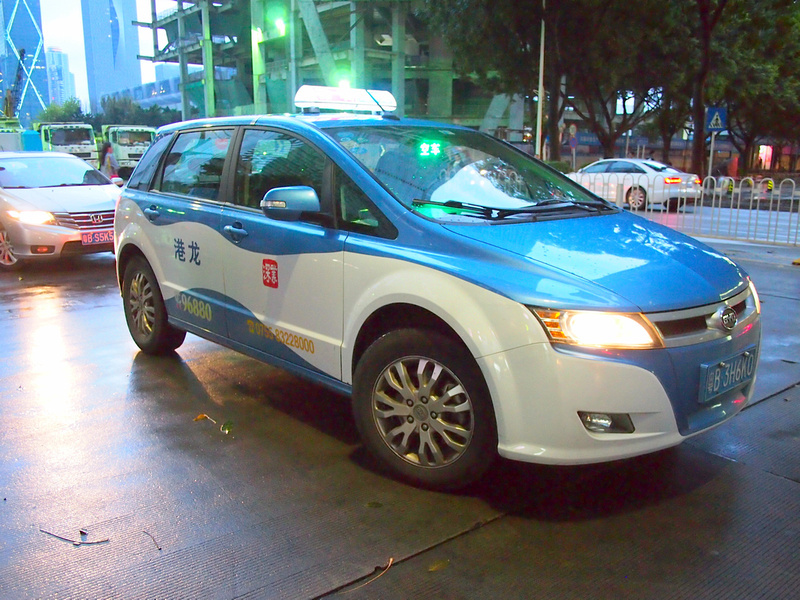 If you’re in Shenzhen look out for the blue taxis, which are the electric cars. In the hotel elevator there was a TV advertisement running with someone who looked like Leonardo DiCaprio. I thought it might have been a fake Leo, but no, it was actual Leo promoting Chinese-built electric cars (or “new energy vehicles”). The company is BYD, which is an acronym for “build your dreams”. I had never heard of BYD, but maybe they will be as common as a Toyota in a decade. I got the metro to my friends apartment and I emerged from underground to be greeted by the Ping An Finance Centre. It seemed tall, even by Shenzhen standards. It turns out to be the 4th tallest building in the world. It was built in 2016, a year when Shenzhen completed more skyscrapers than the entire US. It was raining the day I was there, which made for clean air and great views the next day. I got a shared taxi from the port to Hong Kong airport. Crossing the Shenzhen Bay Bridge you get a stunning view of Shenzhen, and you can clearly see the Ping An standing tall above an already bulked-out skyline. This grainy photo from my iPhone through a car window gives you a general idea. 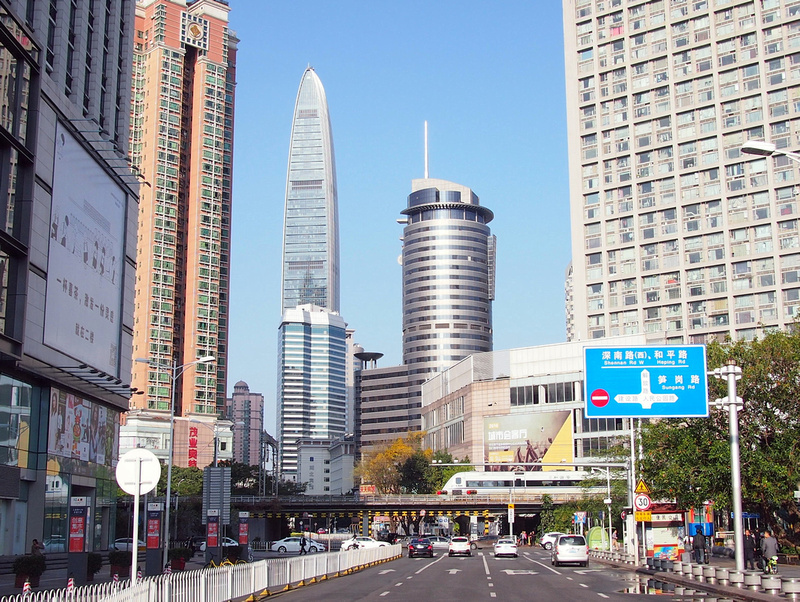 Shenzhen is a city without an obvious central point. Fortunately I lucked out and picked a reasonable area to stay for the casual visitor. 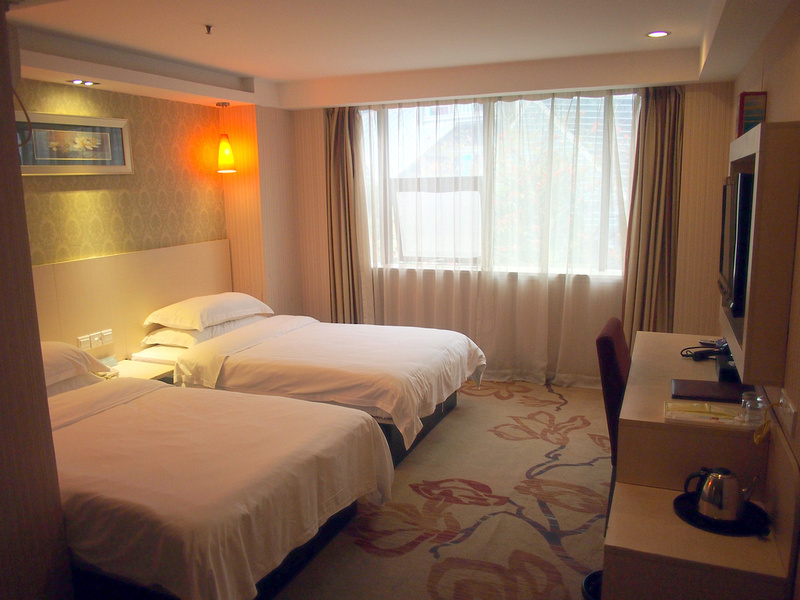 I stayed at the Xiang Mei Hotel (my review here), which is conveniently located near two metro lines and the Dongmen walking street. It’s also close to the frontier crossing to the Hong Kong metro. Search for more hotels in Shenzhen here. For further reading this Esquire article from 2007 is a great read: Digging a hole all the way to America. I often wonder about the places I have only gone once and didn’t like that much. There’s usually a list of things that conspire for a place not to appeal to an open-minded traveler, so the second time almost HAS to be better, right? But don’t get me started on going back to a place you love for the second time, that can be a heartbreaker. I am simply awestruck by the beauty of Shenzhen. The skyscrapers are like a feather in the cap. Your captures are amazing. Lovely picture. Shenzhen is so beautiful. Looks so lively. Thanks for sharing the information. Great post and highlights but there’s so much more. The thriving startup, tech, nightlife and art scene, etc. It is mind-blowing, and growing way, way faster than the rest of the world. Also because people adapt to new technology very quickly and cost barriers are low. By the way, that bowl looks like Yunnan style pork? with pickled veggies and noodles. Hi Hauser, that’s a good summary. I also noticed how modern and tech savvy the general population is. Interesting that Shenzhen is growing to be one of the biggest cities in the world but it is keeping its head down and getting on with business. And thanks for the soup tip! I’ve never been to Shenzhen, but these tips are perfect for getting to know any city, and I love that! It’s great you gave it another chance.